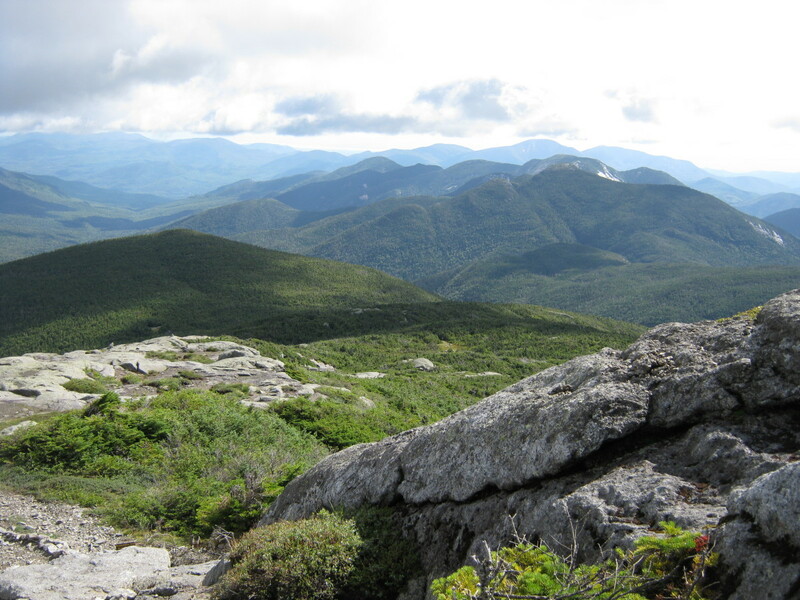 I have always had an interest in health and fitness and for over thirty years have been running the roads of western Massachusetts. So what’s a runner to do? If you can’t qualify, you just keep on trying. And until that magical day happens the next best thing is? Be a spectator! 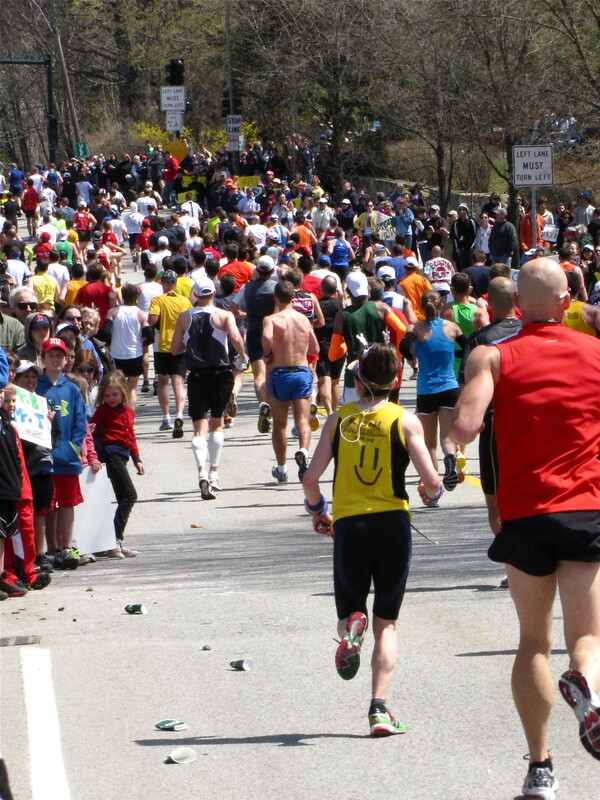 Yep, the next best thing to running the Boston Marathon is to make the trek to Boston or Hopkinton or Newton and watch the race. If you’re initial reaction to this is, “why on earth would I want to do that?” I ask that you reconsider. I can tell you that there is nothing else quite like it. 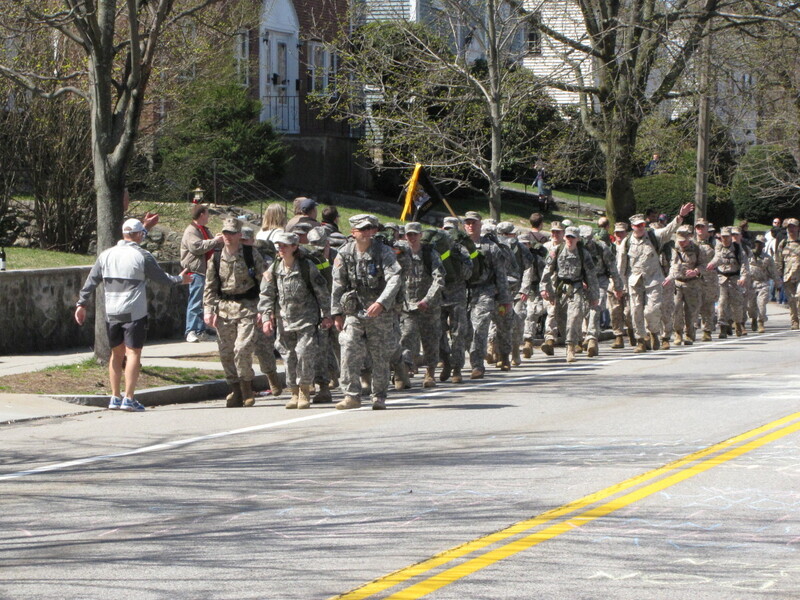 Standing at the foot of heartbreak hill, or in Wellesley, or in Copley Square, or wherever you may be on the course, and seeing the media helicopters indicating the race leaders are getting closer and closer is like being a kid on Christmas morning. The anticipation that fills the air is electrifying. You know that very shortly the lead runners will be coming by and then starts the hour’s long serenade that greets every single runner that competes. 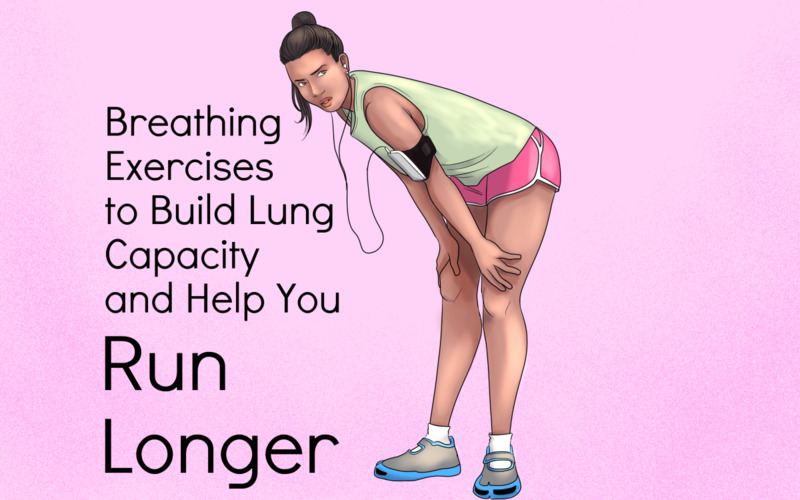 If you are looking for a way to invigorate your running, then this is it. 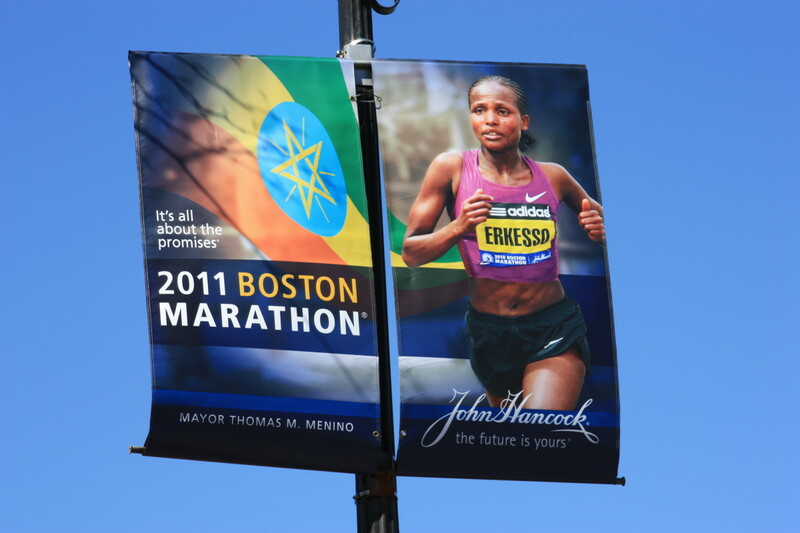 You will leave Boston with a newfound commitment to train and to qualify for Boston. And sometimes it happens. For me, it has not. And so, each April on Patriots day, otherwise known as “Marathon Monday”, I make the journey from western Massachusetts to Boston. It has become my way of giving a little back to a sport that has done so much for me. 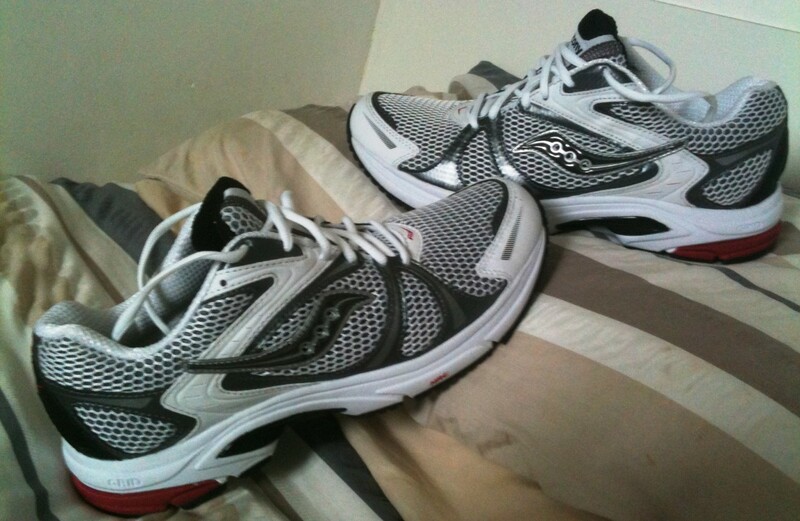 If I can’t run, then I will go out there and support those who can. There are many places along the course to watch the race go by. 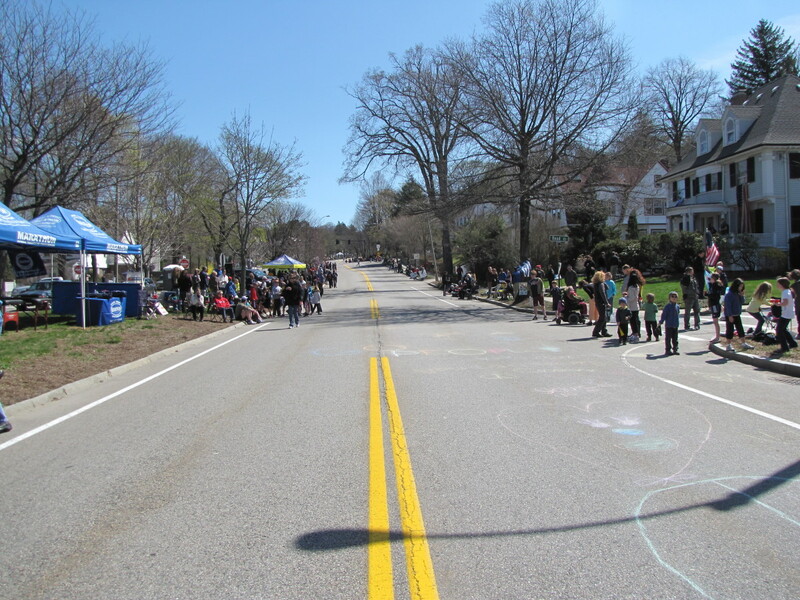 I prefer to stand guard at the foot of heartbreak hill. At twenty miles into the race it is the perfect spot to camp out and spend the day soaking in the atmosphere. Get too close to the start and the day ends way too early. Too close to the finish and you may spend hours getting into and out of Boston on a day that also has the Red Sox playing at the unusual time of 11am. If time is of no concern to you then by all means consider heading into the city, I have done this a few times and it is a great day to be in Beantown. Between the Red Sox, the marathon, and the thousands of fans and spectators crowding around Boylston Street it's essentially a city wide block party. If you do decide to go into the city to watch I would suggest leaving your vehicle outside of Boston and taking public transportation into the city. The MBTA (Mass Bay Transportation Authority) does a great job in accommodating people trying to get to the marathon and this is the preferred way to get into the city. In general, driving and parking in Boston is difficult at best and it’s even more difficult on Marathon Monday. Since its Patriot’s Day, the metered parking spots on the street are free, but they’ll be hard to come by. The Boston Marathon website mentions the Garage at 100 Clarendon as a parking option. It’s located one block from the finish line, but get there early as it’s bound to fill up quickly. 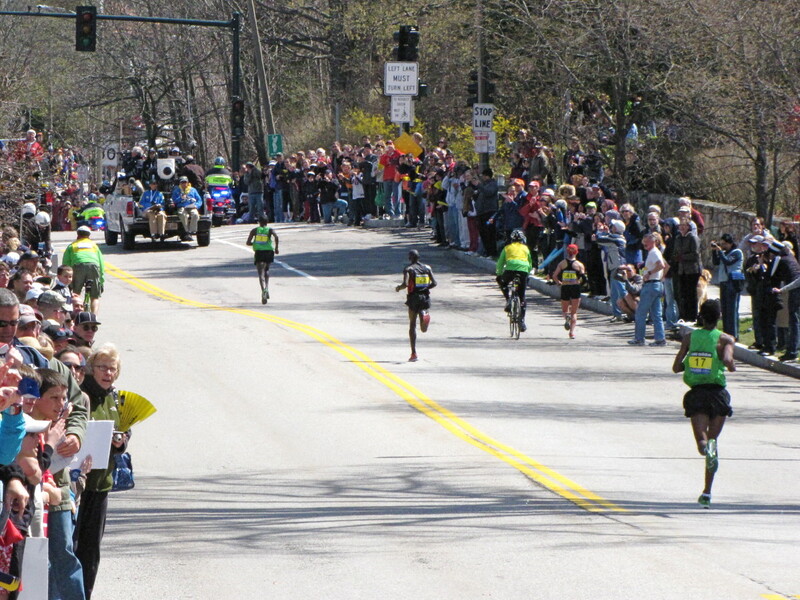 To get to Newton and the heartbreak hill section of the course follow the Mass Pike to exit 17 for Newton. Then follow Centre Street by the Boston College Newton Campus until you can go no further. At this point I usually head down some of the side streets to park and from here it is a short walk to the course. It's an easy on and off of the Mass Pike and it's only five to ten minutes from the Mass Pike to the course. 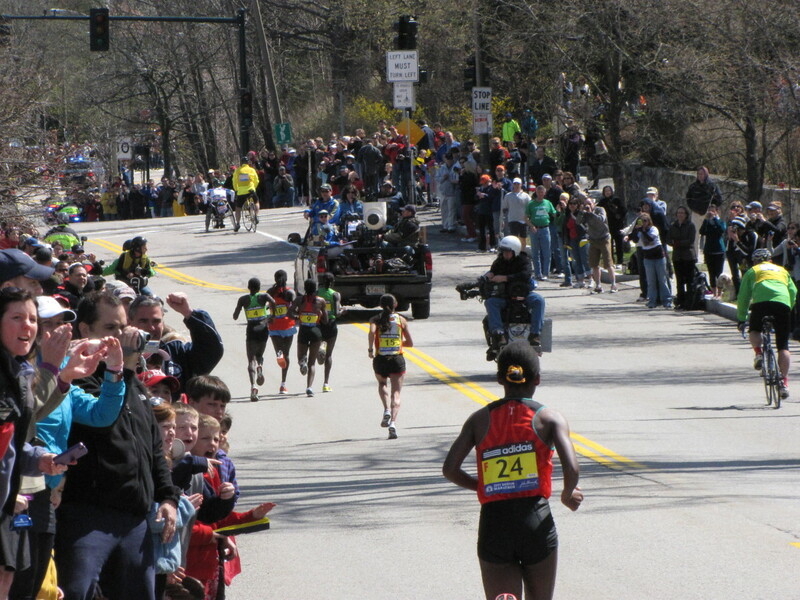 To spectate the Boston marathon does involve a little bit of planning. You will need to know when the race starts and when the leaders will pass by your viewing spot. 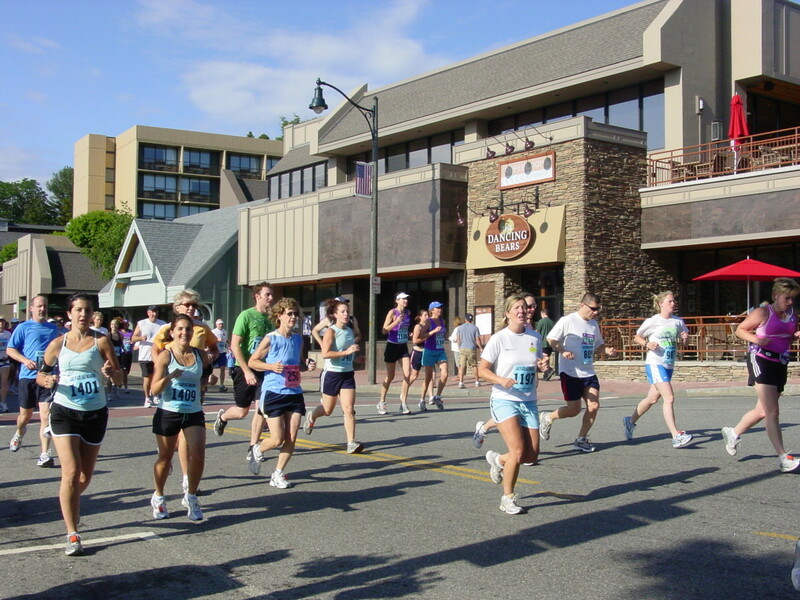 And then you will need to figure on arriving at your spot an hour or so prior to the lead runners passing by. 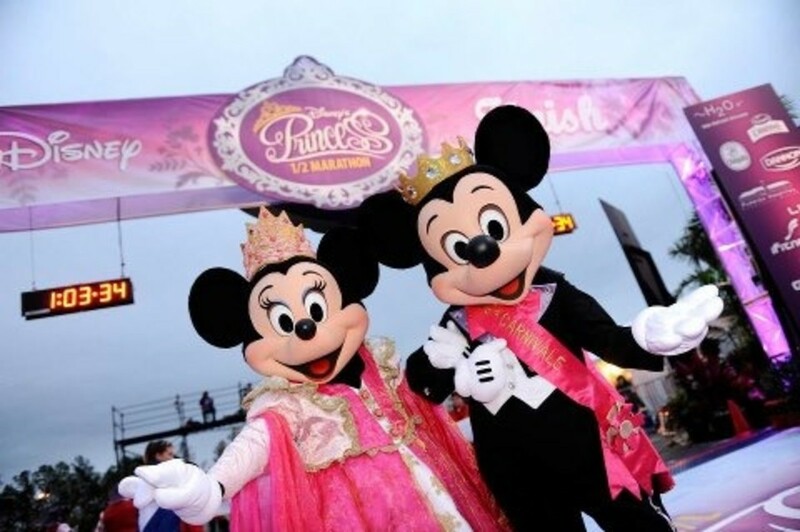 This is crucial as number one, the course gets crowded, and number two, you want to soak in the atmosphere and feel the anticipation and excitement as the race gets closer. If you decide to go hopefully it will be a memorable experience for you. 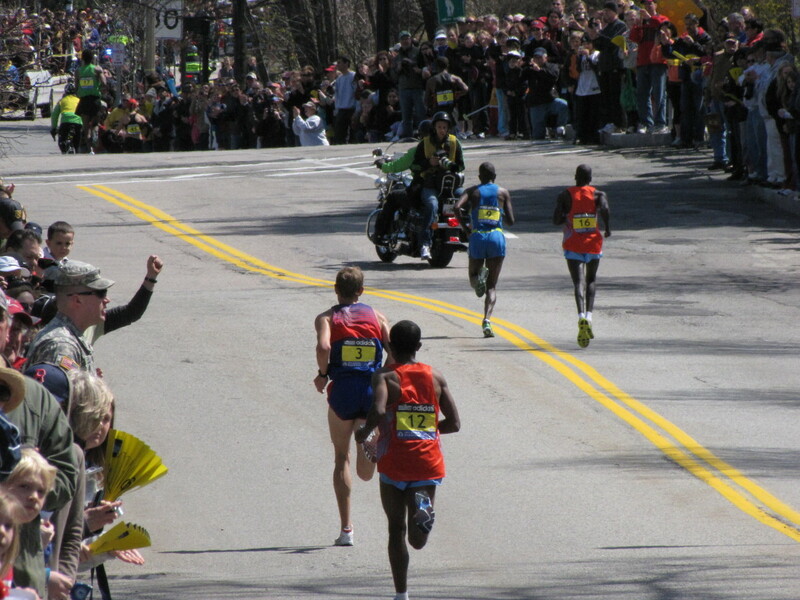 2011 was a great year to be there as Geoffry Mutai ran the fastest marathon ever in 2:03:02 and Ryan Hall ran the fastest marathon by an American ever in 2:04:58. It was exciting to watch. No matter what the times you are assured of a truly great experience. So come mid April pack up that picnic basket, grab your folding chairs and blankets, don’t forget your camera and head to Boston for the greatest show in running. Cool Running is the complete online resource for runners, offering the Web's most comprehensive race calendar, race results listings, training advice, interactive tools and a vibrant online community of runners. 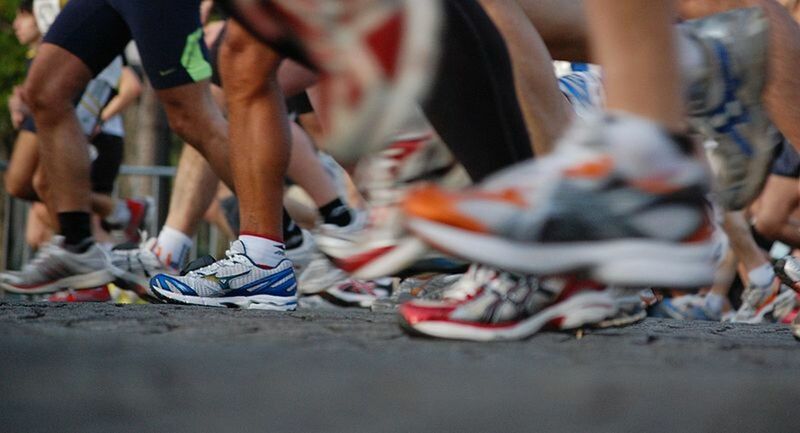 Can I bring a backpack as a marathon spectator? The official BAA website strongly discourages spectators from bringing over the shoulder backpacks. If you do bring a backpack, it may be subject to inspection. What they are suggesting is to bring items in clear plastic bags. With all of that being said, I have seen backpacks while watching the race, but certainly, you can understand why they request spectators not to bring them. 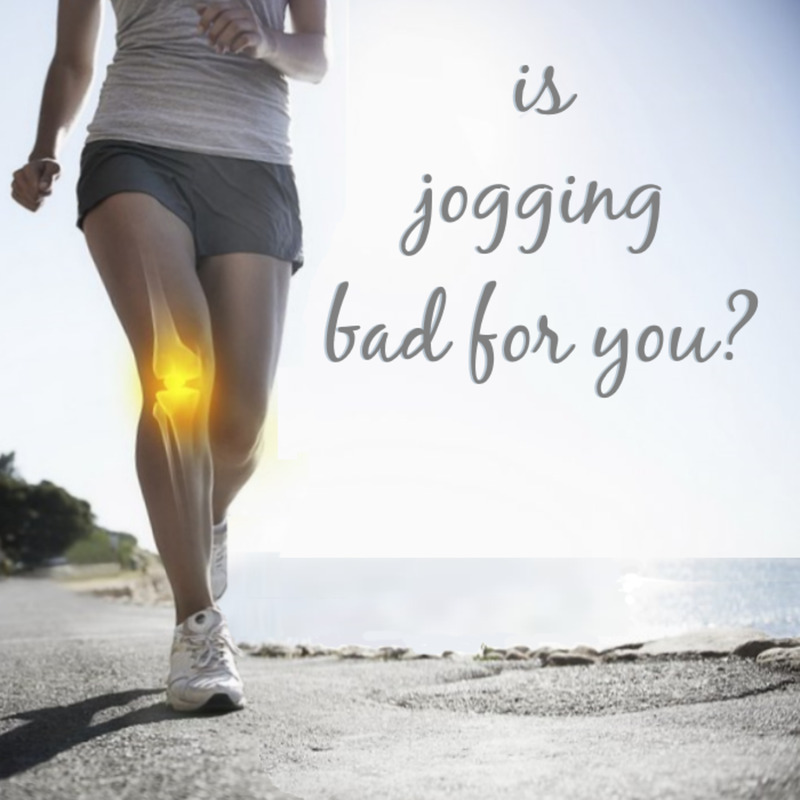 Is Jogging Bad for You? It was very sad what took place this year. Hopefully no one has to ever go through that again. Thank you for your concern, everyone we know is safe and sound. Keep running and best of luck to you. I just want to thank you for your spectating advice. Despite the tragedy my students and I did enjoy viewing the race from Newton and I will continue to make that my viewing spot. And hopefully one year soon enough my family will view me running from that spot! It ended up being a heartbreaking day and an event that I will never forget. I am glad that your friends were safe. Thanks LongTimeMother. Hopefully this all ends shortly without any further bloodshed. It's not easy but thousands do manage to qualify. For a 50 year old man he would need to run a 3:30 qualifying time. There are time standards that must be met depending on gender and age. Thank you for the kind thoughts. Have a great day. Glad you are safe, bdegiulio. How hard is it to qualify in this event? How is the decision made about whether one qualifies or not? I wouldn't like to think a disgruntled applicant would ever consider such an action, but I can't help but wonder. Hi everyone. Thank you for your concern. What a shame and a tragedy this has been. We were indeed in Boston for the day as we always go but were not at the finish line when this happened. My brother-in-law was just 4 minutes from the finish when this happened and he was not allowed to finish. He is safe and sound. 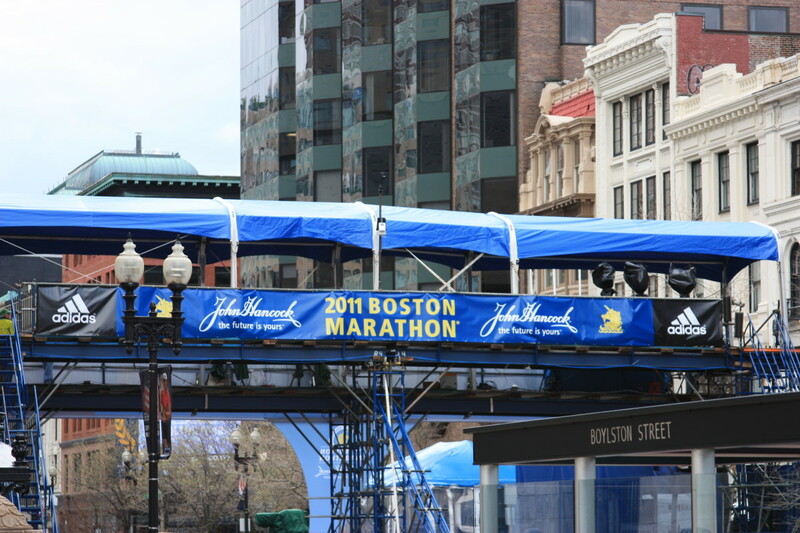 A good friend finished just 12 minutes prior to the bombing and she is also safe and sound. It was pretty stressful as we tried to get a hold of everyone to make sure they were safe. Cell phone service was out so it was pretty anxious for awhile. Thank you all for your concern, it is much appreciated. Came right here on Monday to see if you are O.K. Please post soon. My brother finished 45 min. before the bomb. Friends finished sooner than that. My friend who would have finnished in that time frame broke her foot six weeks ago. This terrible bombing indeed shouldn't have never happened. What could have been a fun and high-spirited event was marred by this atrocious incident, and many of the innocent lives have been struck and claimed. I hope this tragedy won't dampen the spirit of the people to stay strong... my prayers for the victims. I watched this year's tragedy at the Boston Marathon on the tv news here in Australia. What a shame such an exciting event was spoiled. Marathons have always been good clean family fun. This tragedy should never have happened. My heart goes out to everyone who was touched by the bombing. Hi Abby. The parking in the area that we go to is all on the street. We've been going for years and never not found a spot. There are many little side streets in this area so just go up and down them until you find an opening. It's exit 17 off of the pike, go by the BC Newton campus until you can go no further due to the roads being blocked for the marathon. At this point we usually take a left down whatever side street is there are start looking for a spot. From here it's only a few minutes walk to the course, just follow the crowd and noise. We've never had a problem in this area. It's 5 minutes off and back on the pike. Good luck, let's hope for good weather. Thank you so much for the quick response.! I am trying to take some kids from the school that I work at. I'm getting so much advice to take the T in, but I would rather drive. Do you find parking to be a problem? Hi Abby. We arrive in Newton between 10-10:30 a.m. That gives us time to park, grab a good sport and wait for the lead women to come first, followed by the lead men. It's a great day, a lot of fun. Pack a picnic lunch and be ready to make a lot of noise. Great information here! What time do you usually try to arrive in Newton to get a good spot? Unfortunately, I no longer live in Boston, so I can't make it to the race. But I'll be following along online! Thanks Brainy Bunny. Lucky you that you had a bird's eye view of the finish. 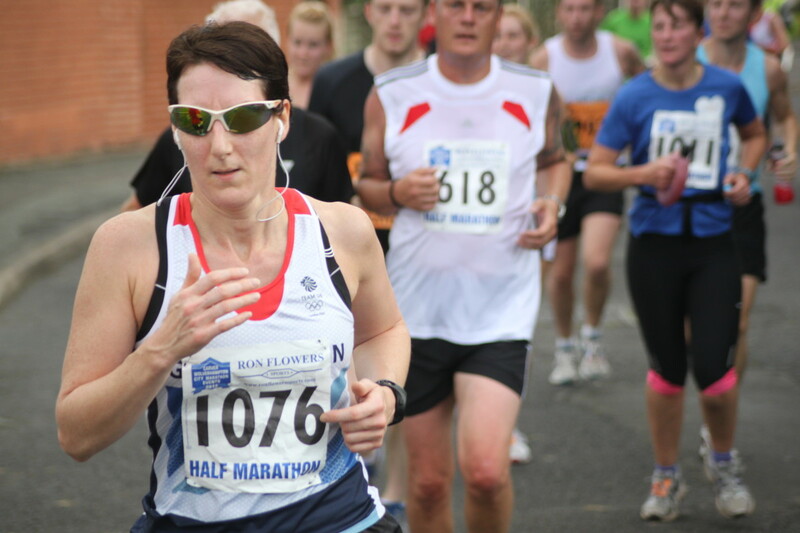 Are you heading to the marathon this year. I plan on being at my usual spot near mile 20. Great fun. Great event. I used to work in a building that faced Boylston Street across from the Boston Public Library. The office was on the second floor, about 30 feet from the finish line. You can bet we all came to work on Patriots' Day and had an awesome time, watching the end of the race in supreme comfort in my boss's office. Thanks Steph, I have so many photos from that day that you may very well be in one of them somewhere. Very much appreciate the comments. Thanks tirelesstravler, we love going up and watching as it's a great event. Good luck to your brother-in-law. Many years (60 or 70) ago my uncle decided to run in the Boston Marathon. He did it in the only shoes he had. He finished with a bloody mess of feet. My brother-in-law have run Boston many times. I am so proud of him. Just got the bib text alert today to sign up to keep track of him. Nothing wrong with spectating. We watch anything that has to do with bicycling or brother running marathons. Nice detail. Well thought out hub. Bill, outstanding writing and perspective! You should write for SI or ESPN.